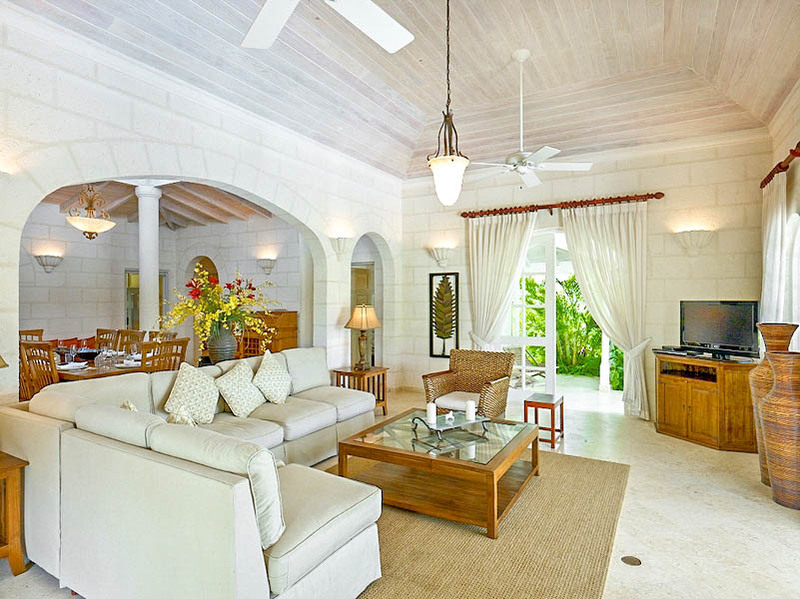 Muffins Lodge is a wonderful four-bedroom holiday villa on the heavenly Bajan coast. 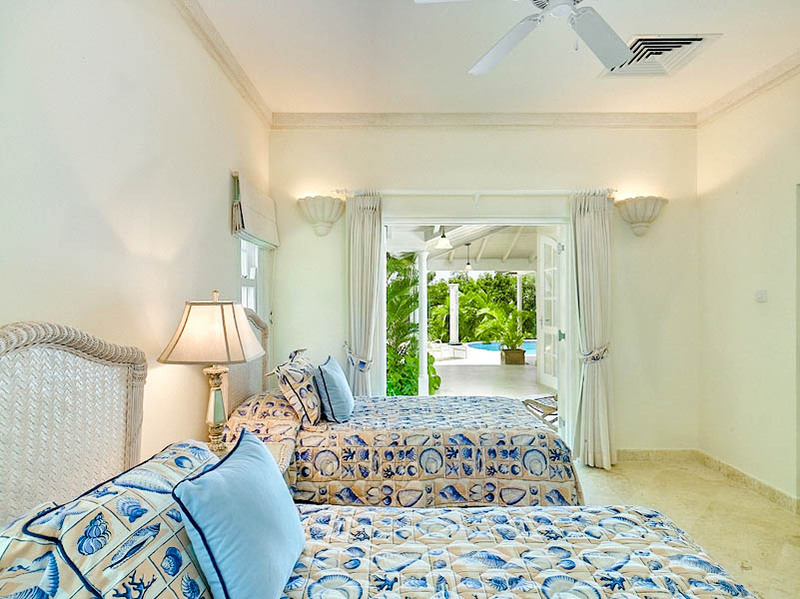 The home is situated on the west coast of Barbados, offering break taking views and a stunning climate. 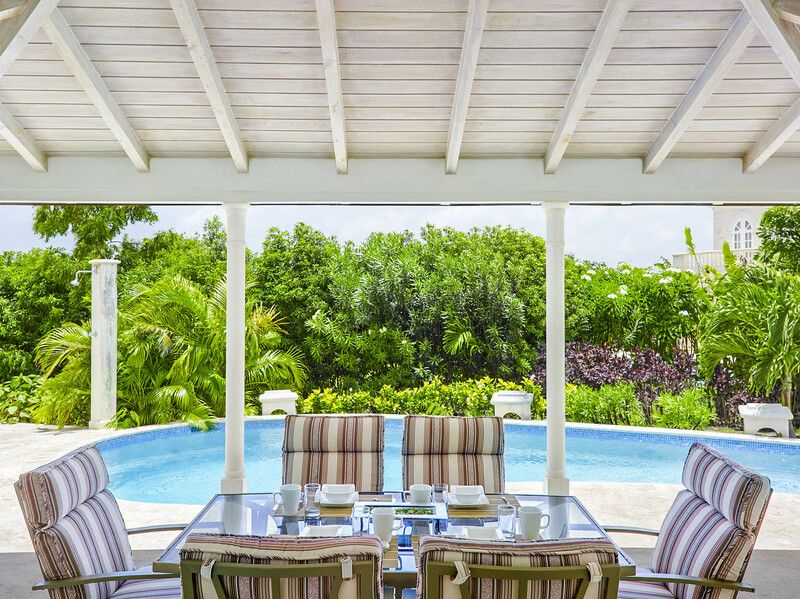 The villa has views over the exclusive Royal Westmoreland Estate, which you can enjoy from the beautiful and modern patio equipped with a dining area. The patio is excellently lit up at night, providing a calming ambience that you can enjoy well into the evening. The patio is situated in front of the large outdoor pool that has palm trees and plants gently nested at its side. Guests will feel as if they are swimming in the midst of an enchanting forest, is there any better way to unwind? 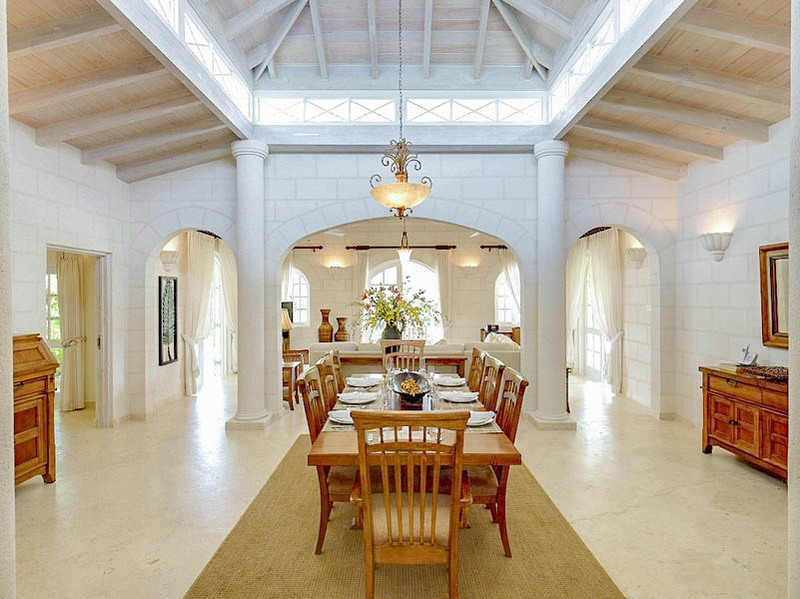 When stepping inside the villa, you will discover the dining area is both elegant and exquisite. White smooth brick walls, grand arched windows and wooden furniture all make for the perfect fine dining experience. The room also sees an artistic lamp hanging from the ceiling to marvellously light up the area after the sun sets. The dining room benefits from an open plan design with the living room which provides multiple doors to the garden. The room contains a cosy L shape sofa, coffee table and flat screen television. 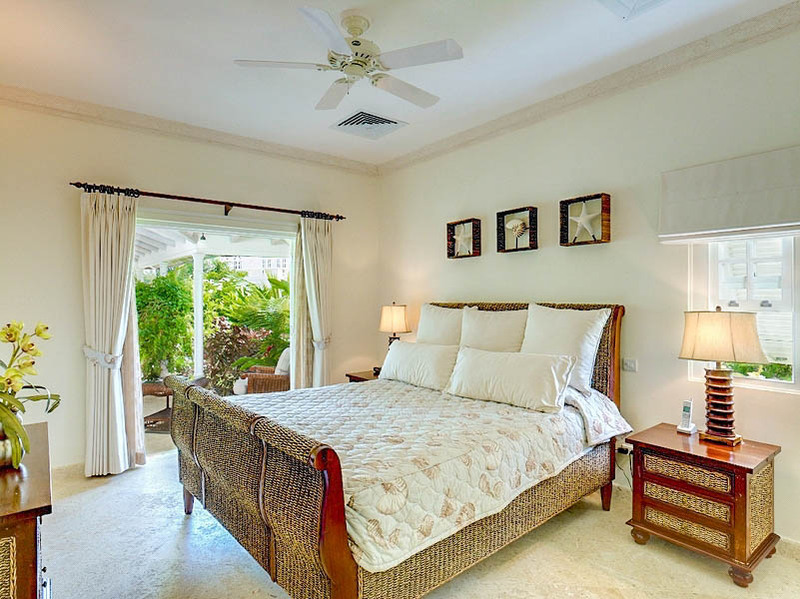 The bedrooms boast lush and comfy beds, atmospheric lamps and some even open out onto the garden. 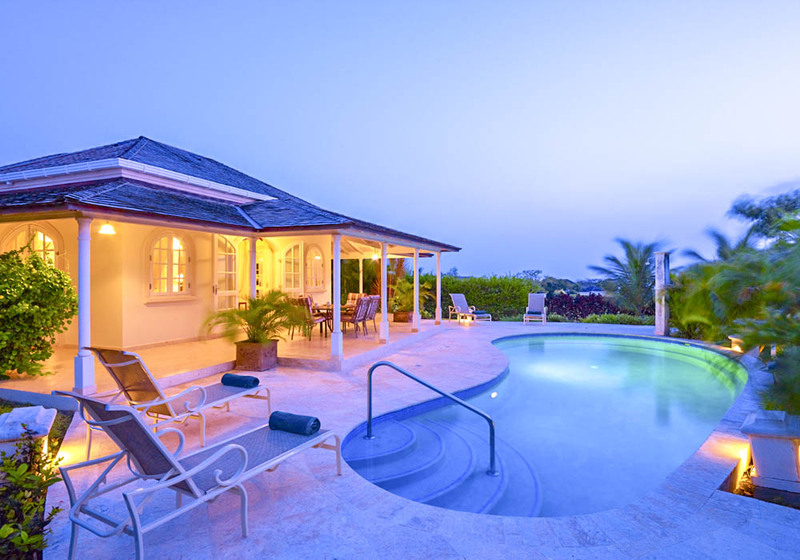 Barbados is an island that, besides its impeccable natural beauty has plenty to see and do. Just a 30-minute drive away lives the Pelican Village Craft Centre in Bridgetown. This is where you come if you want to discover the true artisans of Barbados. 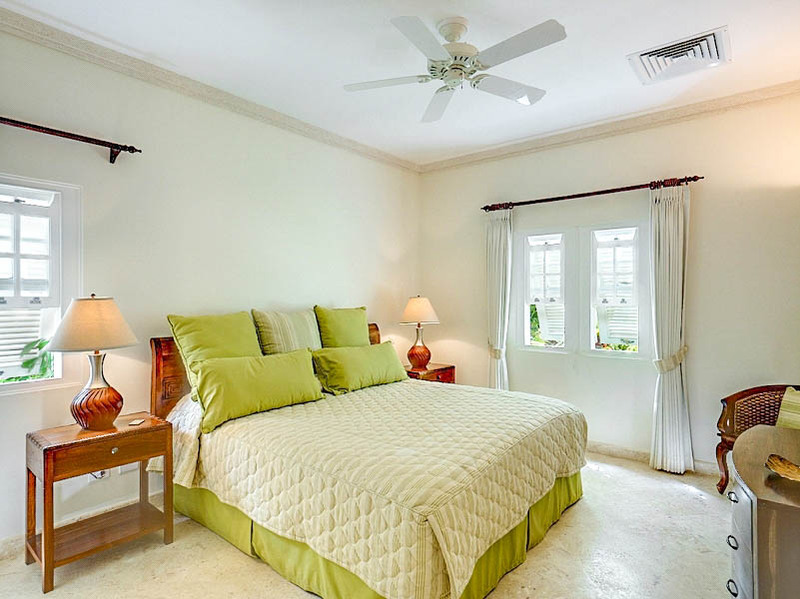 Located in Pelican Village, which makes for a pretty picture in itself, the centre has some of the best locally produced and handmade arts and crafts on the island. The village is full of quaint and traditional chattel houses that are occupied by various small businesses. The small shopping centre houses items that will make perfect souvenirs and gifts. From hand-painted glass creations to ceramics, carvings and sculptures, the shops exude local talent that has largely gone unnoticed, and has become somewhat of a secret waiting for lucky shoppers to discover. By embarking on another 30-minute drive, you will find The James Street Methodist Church. The church is part of many churches that represent various dominations in Bridgetown. Located on a quiet side street amongst the popular shopping areas, you can visit here to participate in religious services or if you’re not religious, simply savour a quiet meditation. The church boasts a classic design and Venetian portico, which were additions that were part of the re-building process added after the church was burnt down in 1823.